Your style statement can never go wrong with the Vintage Black Marines Eagle G and A T-shirt. 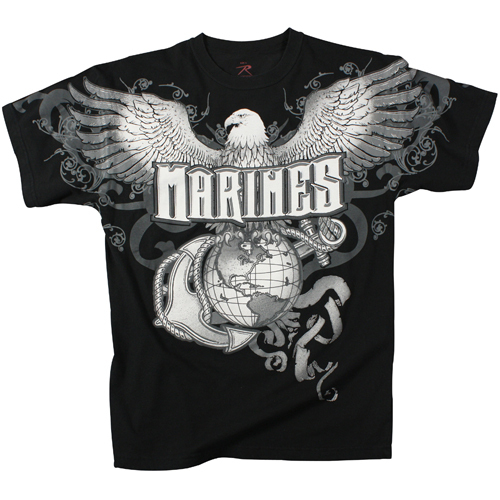 This monochrome T-shirt offers you an authentic vintage look to match your U.S Marines ideology. This T-shirt is manufactured by a highly reputed GI government approved house of the United States of America. These long lasting T-shirts are made from a fabric containing a smart mix of polyester and cotton fibers. They are washable at home. 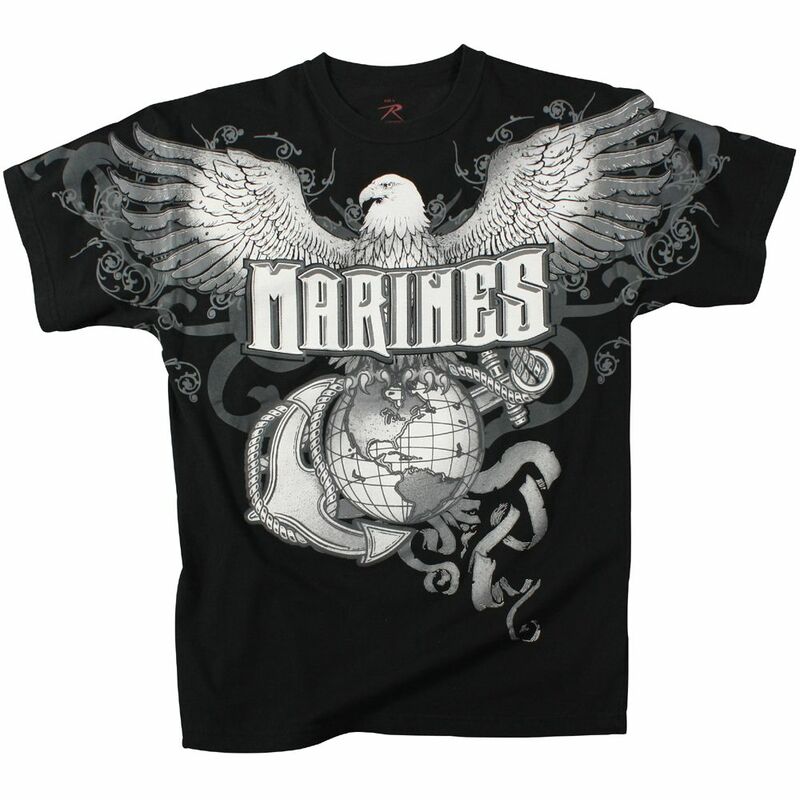 Each military fashion short sleeve T-shirt showcases U.S Marines logo printed shoulder to shoulder in white over black background. The label is tag less thus making it more comfortable to wear.